Linocut is a very enjoyable and accessible relief printing method, with many techniques and possibilities. 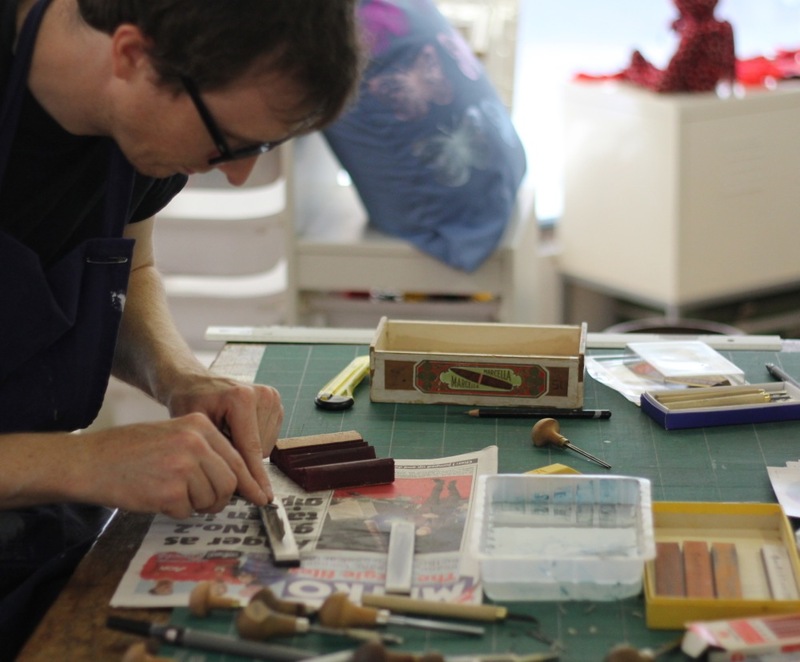 Nick Morley aka Linocut Boy of Hello Studios, Margate leads this introduction to the process, offering tips to get great results based on his own extensive experience working with lino. You will be shown examples of linocut prints, taken through the options for transferring your design onto the lino, safe techniques for using tools (including how to sharpen them), how to ink up your carved block, choose papers and operate the presses. You’ll be using a book press to make your prints, but there are other options too for printing lino, including an Adana letterpress machine and an etching press, and the pros and cons of these will be discussed. No previous printing experience is necessary, the class is suitable for beginners and those wishing to refresh their skills. People who have taken this course can return to use our print studio during open access sessions. On booking you will be sent details of things it would be useful for you to bring. You can plan out your own design beforehand to work from, or you can pick something from the studio’s design library with hundreds of illustrated and vintage books to give you inspiration on the day. Please give us as much notice as possible if you are not able to come to a course that you have booked. If you cancel with seven or more days notice, we will reschedule or refund your booking. For cancellations less than seven days before the workshop date – we may be able to offer you a discount on a future booking if we can fill your place, but please note that we have to cover space, preparation and tutor costs and if you cancel at the last minute we still have to pay for these.